The yuan recently passed the Japanese yen to become the fourth most actively used currency after the U.S. dollar, euro and British pound, according to SWIFT global transaction services. 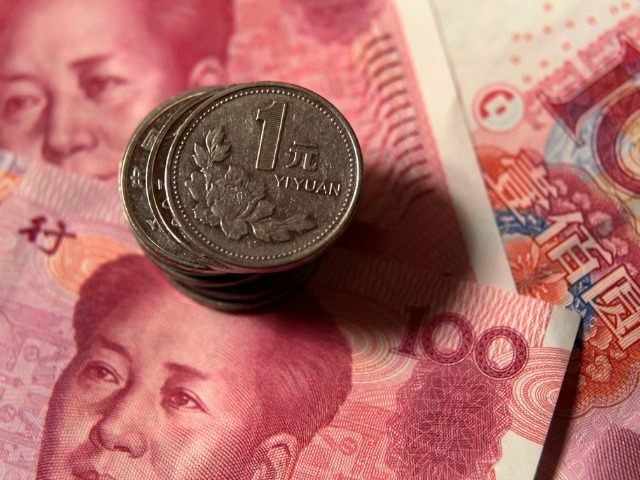 The move represents a step forward in Beijing’s effort to make the yuan a dominant global currency. SWIFT said the yuan in August hit a record high of 2.79 percent of all global payment transactions, more than quadrupling its 0.6 percent share at the end of 2012. Ten nations are using the yuan this year to clear more than 90 percent of their yuan-denominated global transactions. The United Kingdom and Singapore accounted for 46 percent of all yuan-denominated global payments. As of mid-August of this year, about 1,700 financial institutions were processing yuan payments, about 14 percent more than at the same time last year. Anticipating an IMF inclusion, yuan-denominated transaction jumped by 20 percent in August over July after Beijing devalued its currency by 2 percent to increase export competitiveness. Since the United States dollar has been strong against all currencies this year, it will keep its coveted 41.73 percent of SDR weighting. But the euro’s participation in the basket will be slashed from 37.4 percent to 30.93 percent to make room for the yuan. The British pound and Japanese yen will tick down respectively to 8.09 percent and 8.33 percent of the basket. Making the yuan a reserve currency by adding it to the SDR basket would normally be expected to fuel a buying spree and push the yuan exchange rate up. But many traders are shorting the Chinese currency with the expectation that the Red Dragon’s growth spurt is about to fizzle and the yuan will tumble. Bloomberg reported earlier this month that Chinese state-owned-enterprise borrowers are set to take out another $1.4 trillion in new loans from state-owned-banks to pay this year’s interest on their existing loans, due to negative cash flow. The IMF did warn that China’s comparatively higher interest rates versus the other reserve currency participants will likely increase the SDR interest rate and potentially push up borrowing costs on the majority of IMF loans. Although the People’s Bank of China cut its prime one-year lending rate by 25 basis points to 4.35 percent on October 23, the rate is more than 400 percent higher than the one-year London Interbank Offered Rate of 0.97 percent used by the other SDR participants. IMF’s Chairman Christine Lagarde emphasized that the November 30 decision to add the domestic yuan to the Special Drawing Rights (SDR) basket is a milestone in China’s central bank integration into global finances. She added that the IMF had recognized that China is committed to continuing reform to open the Chinese domestic currency markets to foreign traders, allow 24-hour trading on international exchanges, and make the yuan “freely usable” for commercial transactions.